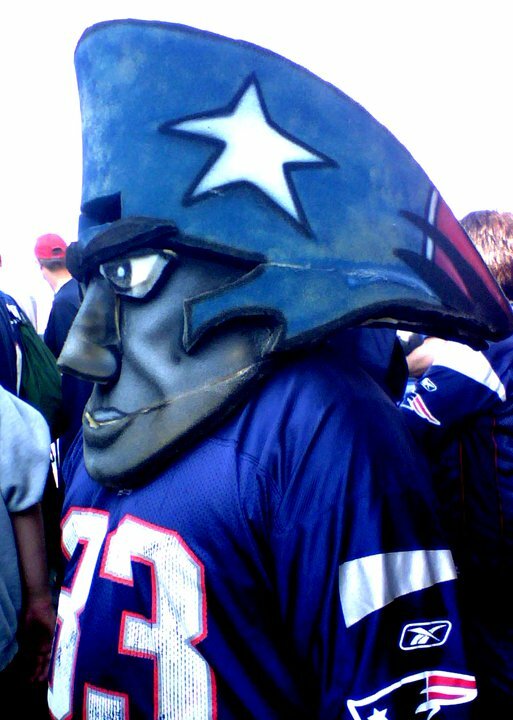 The King Must Die - Cursed To First - Sox and Pats forever. We don't talk about ghosts much anymore, do we? 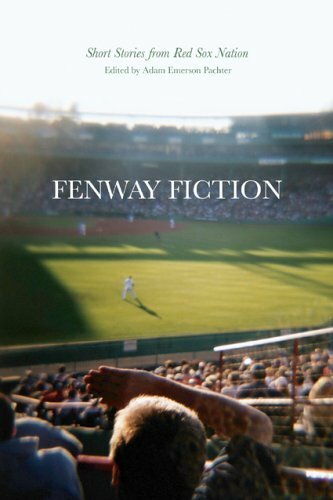 It used to be practically a requirement for entry into Red Sox culture to tell ghost stories--to regularly feel the hairs stand up on the back of our necks whenever the present moment interlocked with some shuddersome memory. The word "ghost" must have been used millions of times following the Sox' devastating collapse against the Yankees in 2003. The ghost of Babe Ruth. The ghosts of Yankee Stadium. Grady Little himself quickly became a ghost. The ghosts followed us into 2004--for nearly the entire first half of that season, even guys who were still on the team were walking around with their ghosts hanging off them like Peter Pan's shadow. On October 27, 2004, it all changed. I don't know that I could even put my finger, though, on what exactly felt so new and different about our first season and a half post-World Series, until tonight, when Pedro Martinez walked out of the visitor's dugout. Talk about ghosts. There were easily a trillion of them. Several players, including Papi and Manny, prismed into triple, even quadruple, versions of themselves. And Pedro, at the heart of it all, was a million things. A million things. Before he even took the mound, Pedro was heartily cheered on his way out to the bullpen. And then he did something I never thought he'd do--something I'd never seen him do--something I'd never imagined possible. Pedro let his game face dissolve. He even smiled, and waved to the crowd. On the second pitch Pedro threw to the Red Sox--in the mid-eighties on the gun and purportedly a fastball--Kevin Youkilis knocked it into right center. Then Loretta singled to right. My heart sank. And then Papi came to the plate. It was like being jolted with electric current watching these two face one another. Papi's career numbers against Pedro are dismal, but they mostly date back to Papi's years with the Twins, when Pedro was regarded as a divinity and Ortiz was nobody. Even if you could put Papi now up against the 1999 Pedro, though, my money's still on Pedro; I think he gets him swinging. But that's not the case, of course--instead Papi hit a weak grounder right back to him, and Pedro whirled around, looking at third and then at second as if he didn't know where he was. Papi had technically lost the battle, but it became clear shortly afterward that just his old friend looming in front of him had set the aging Martinez's mind adrift. The unshakable, unflappable, intimidating Pedro was gone. Completely gone. Gone in a way I would have told you, before that terrible moment, was unthinkable. And I don't just say that because his velocity was all but nonexistent and his control shaky in that first inning--it was that mental mistake that was most devastating to watch. The young, invincible, mean Pedro Martinez was once and for all a thing of the past. After that, the Sox fired up the merry-go-round, plating four runs, which should've been two but for an absolutely devastating error by Lastings Milledge. Everyone looked vaguely sick. I wished right then that it was over. I wished the Mets manager would pull him. I wanted there to be mercy. But there wasn't. So far, both sides had totally let their guard down to one another; the fans cheering Pedro, Pedro smiling at the fans. The fans were starting to get their groove back as the game got underway, but not Pedro. He continued to struggle, as did the defense behind him. It wasn't till he'd faced eight batters that Pedro was able to walk off the field. Words do not describe my relief when Coco Crisp finally grounded out to second to end the inning. Enough. I wanted the Sox to win, of course. But the game I wanted to win wasn't like this. The game I'd envisioned, looked forward to for months, was a duel between the young phenom and the old master; the game I'd envisioned was something like the one-run beauty between Pedro and David Wells, pitching for the Padres, back around this time in 2004. A game deserving of both its pitching headliners--a game, in other words, in which there is a loss, but no defeat. This was defeat. I root for the laundry as much as anyone, but you might as well have drawn a moustache on the Mona Lisa right in front of me. I want the Sox to win at absolutely all times, but I never wanted to see that. Josh Beckett, at least, held up his end of the bargain. I didn't think any curveball could top the one John Lester threw last night in the top of the fifth. But in the top of the second Becket threw a curveball for a called strike so dramatic, it seemed as if the bill of his cap brushed the grass in front of the mound as he followed through. Simply an undeniably gorgeous pitch, even if I was sorry that Beckett danced alone. 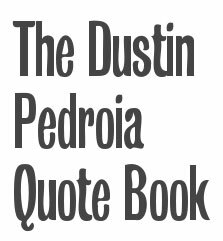 As Pedro struggled and was replaced after the third, Beckett sat glaring in the dugout, warmup jacket over one shoulder, his intensity establishing an invisible field of solitude around him on the bench. 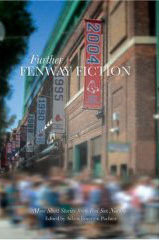 The transfer of power was nearly visible; whatever transcendental id possesses the gifted pitcher had left Pedro and begun to look out of Beckett's eyes. Pedro, showing at least one flash of his old self, had run a fastball in to Mark Loretta, thus ending the various betting pools about which Red Sox he would bean when the ball stung Loretta on the fingers. Later on, though, Beckett retaliated with a perfectly matched slap on the fingers to Paul Lo Duca in the top of the sixth, seeming at once both a simple eye for an eye and pure showing off by Beckett--not only had he hit Lo Duca purposely and aimed the ball precisely where Pedro had put it, but he put a guy on base on purpose with less than two outs. He, you see, could afford the baserunners. Seven and two-thirds innings deep in the game, with four hits, two runs, seven strikeouts, one walk, having hit 96 and 97 on the gun consistently the whole night, Beckett walked off the mound to an ovation that rivaled, if it didn't equal, the ones that Pedro had received. When he doffed his cap, the roar swelled even louder. Pedro can have all the charisma he wants, but it's that id we follow--that swing-and-a-miss magic. Like any of the cycles of baseball, this one is inexorable and seemingly eternal. We were reminded in the pre-game show of another landmark matchup in which a torch was passed in Boston, the famous first Pedro-Roger faceoff in Game 3 of the 1999 ALCS. We were reminded that that game, too, had not been the duel everyone had hoped for (though it was to be the only win for the Sox in that series). It's happened before. It will happen again. Someday Josh Beckett will watch as a younger man walks off the field with his glory. And that, too, will be bittersweet. A truly great post. I love the imagery you wove in it. It was painful to watch Pedro hesitate on where to throw the ball - I almost had to look away. I wanted that game, but it was tough to see Pedro get shelled. By the time the "Pe-dro" chants were filling Fenway, I just wanted him gone. Wanted to especially agree here with Papi v. Pedro...when they faced each other, my mind just sort of shut down (Abort, Retry, Fail?). Clearly, Pedro had an issue on that one too. Make it twelve...and take the AL record for errorless games! Shivery. That's wicked good stuff right there, yo. I dont think it has so much to do with pedro not being able to be mean and intimidating. It's just that in the national league, its not as much of a challenge for him anymore. the national league is the minor leagues now. its like playing in pawtucket. pedro could take on the national league with his eyes closed, but when he got back to competitive, honest to god major league ball in fenway, well, the challenge took him for a loop. Omigod, beth, what the hell happened with all those trackbacks? Why do I always do this to you??? Sheesh. I am so sorry.